A warm welcome to Sycamore Class! We have a fun and creative curriculum planned to stimulate and engage the children. We will launch the Autumn Term with a study of Ancient Greece. We will access the curriculum artistically by researching Greek pottery and producing Greek plates using papier maché. Through English lessons we will read Rick Riordan’s acclaimed novel, Percy Jackson and the Lightning Thief. Through the text we will learn about Ancient Greek traditions and tales as well as learning about the Greek Gods. We will also have a Greek Day, re-enacting some Olympic events, wear togas, sample Greek cuisine and research Greek mythical creatures. 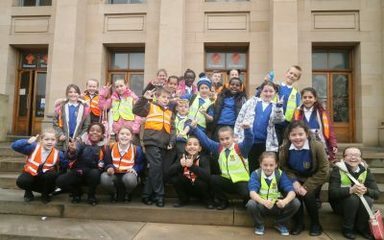 We also: visit the Greek antiquities in the Great North Museum; venture through the streets of Newcastle to spot Greek architecture; sample Greek food at Simply Greek; and visit the Literary and Philosophical Society. As Christmas approaches we will read Roald Dahl’s autobiography, Boy. It’s a great tale with numerous true stories that will shock and enthral you! The Spring Term sees us commence our topic on World War II. Through reading Goodnight Mr Tom we will experience life on the Home Front and what it was like to survive on rationing and live as an evacuee. We will also interview someone who was evacuated, a valuable first hand source for our historical enquiry. In the second half of the Spring Term we will continue to research World War II, but from a European perspective by reading The Silver Sword- a bleak tale of a poor Polish family searching for each other in the turmoil of the Warsaw ghettos. The highlight of the year is our trip to Ford Castle, an exciting castle nestled in Northumberland where the children will experience a range of exciting activities such as climbing, orienteering and zip-lines to name a few! We are also undertaking the prestigious Prince William Award every Monday morning. It’s a fantastic way of developing the vital inter-personal, team-building skills needed in life. 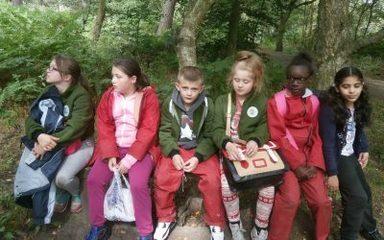 In the Summer Term we will investigate rainforests culminating in a trip to the Tropical Garden in Sunderland. We will explore the flora and fauna in the rainforest and explore the numerous challenges face in the rainforest. We will read Michael Morpurgo’s Kensuke’s Kingdom alongside, an entertaining, adventurous tale.